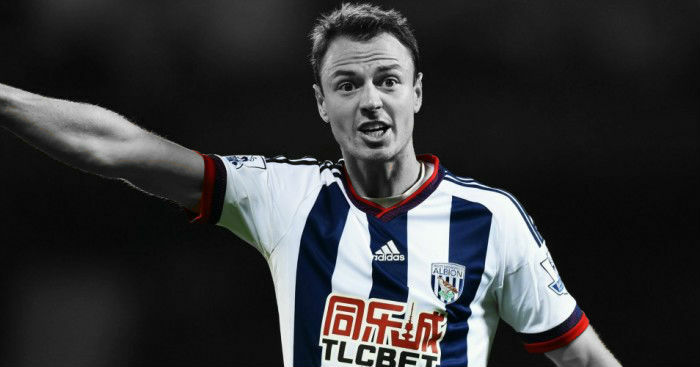 Arsenal have reportedly joined the race to sign West Bromwich Albion defender Jonny Evans and will rival Manchester City for his signature. Pep Guardiola’s side are expected to return with a third bid of £30 million for the 29-year-old, with Leicester City also retaining an interest. The report states Arsenal want to sign another centre-back following their dismal start to the season, and have identified Evans as the man. The Telegraph also ponder whether City might possibly be willing to back down over Evans, and allow Arsenal a free run, in a bid to tempt them into selling Alexis Sanchez. Arsenal’s defence has certainly looked poor this season and speculation also claims that Shkodran Mustafi could be set to depart for Inter Milan. Mustafi was on the bench for Sunday’s defeat at Liverpool which has fuelled rumours he could leave, after apparently failing to settle at Arsenal following his move from Valencia. Should the Germany international move away, a replacement would certainly be needed, although any move for Evans looks like being an expensive one, with West Brom reluctant to let him leave.